When will be Neill Anthony: Private Chef next episode air date? Is Neill Anthony: Private Chef renewed or cancelled? Where to countdown Neill Anthony: Private Chef air dates? Is Neill Anthony: Private Chef worth watching? The reality cooking series that provides a glimpse into the secret, day-to-day life of a private chef in South Africa. On call 24/7 to cater to the demands of his exclusive clientele, the location may be an ocean-side villa, a game farm or even a tiny galley kitchen on a yacht. The nature and size of the request doesn't matter. What does matter is the dining extravaganza that he is expected to deliver to satisfy the most demanding of clients. 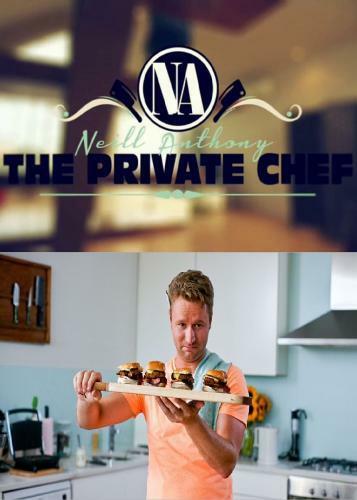 Neill Anthony: Private Chef next episode air date provides TVMaze for you. EpisoDate.com is your TV show guide to Countdown Neill Anthony: Private Chef Episode Air Dates and to stay in touch with Neill Anthony: Private Chef next episode Air Date and your others favorite TV Shows. Add the shows you like to a "Watchlist" and let the site take it from there.